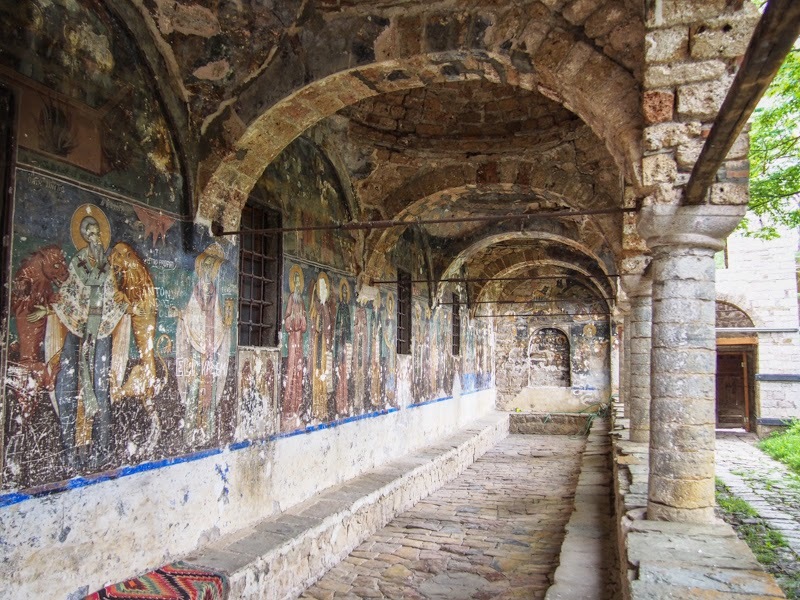 An Albanian provincial town and a nearby village full of frescoed churches. Do you like taking the road less travelled? Albania still qualifies as being off the beaten track. 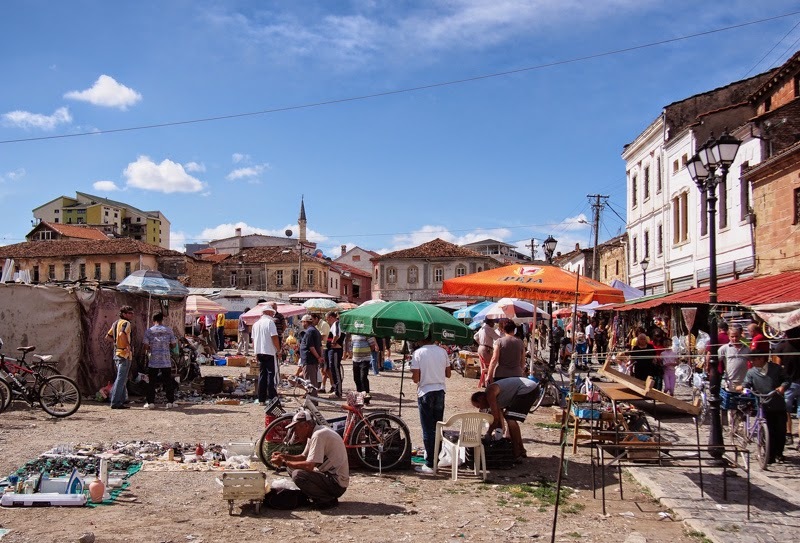 The Korça region is basically off-off-beaten track- my recent Lonely Planet guidebook had exactly nothing to say about it. That in itself has a certain appeal! 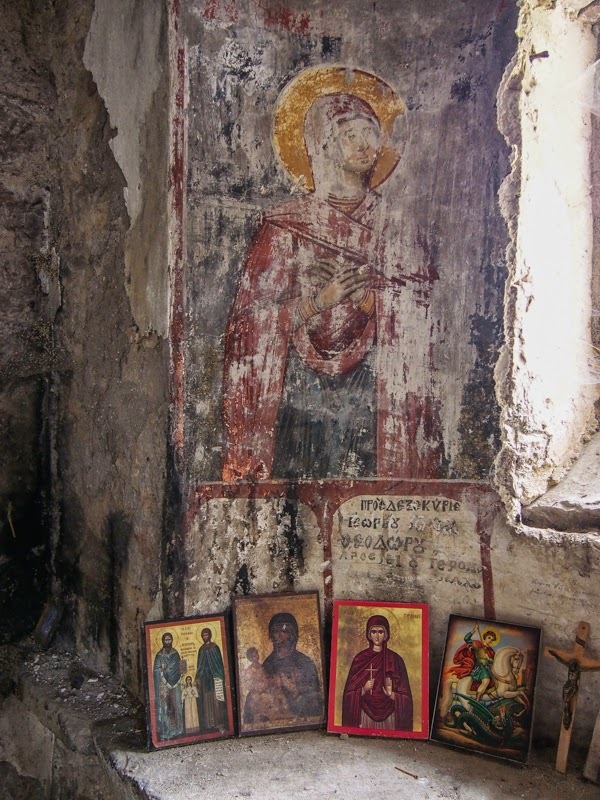 Near Korça is Voskopoja, a small mountain village that used to be a multilingual, multinational hub and has plenty of richly decorated ruined churches to prove it. So if you're a dilapidated-orthodox-church fiend (like I am), you'll enjoy venturing into the unknown (sans guidebook, gasp!) to make your own discoveries here in Albania's terra incognita. Korça is in South East Albania, spitting distance from both the Former Yugoslav Republic of Macedonia and the Former Ottoman Province of Greece. Voskopoja is 17km from Korça. Map. ALTHOUGH ALBANIA'S COAST is seeing a fair number of tourists these days, parts of the Albanian hinterland are still virtually undiscovered. 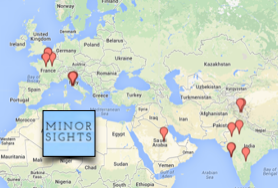 Being so close to what is now Greece and Macedonia, the region has had a fluid history. 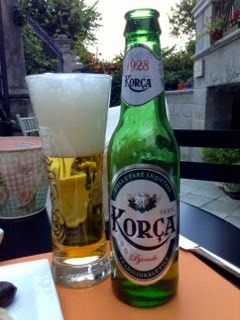 Korça (also sometimes written as Korçë, but my limited knowledge of Albanian grammar does not allow me to explain you why) is mainly known for its beer, and the brewery is a bit of a tourist attraction. Korça's cathedral- think Istanbul's Blue Mosque after an extreme makeover. The Ottoman market district- that spire is a minaret, not a church. 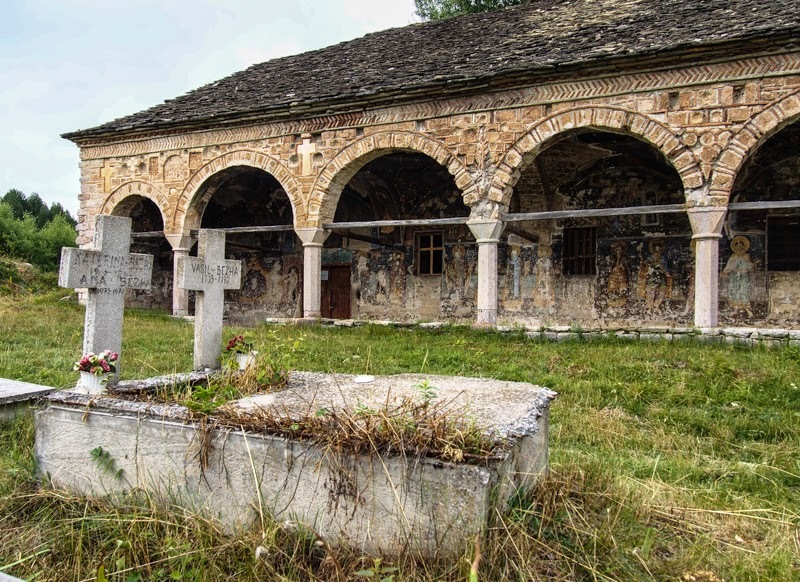 But a visit to Korça would not be complete without a day or overnight trip to Voskopoja (aka Voskopojë, or Moscopole) a nearby mountain village that, in spite of its size, sports more churches and art than big-town Korça. Voskopoja has a very different history. At an altitude of about 1150m, this little village was once a cosmopolitan center of learning. 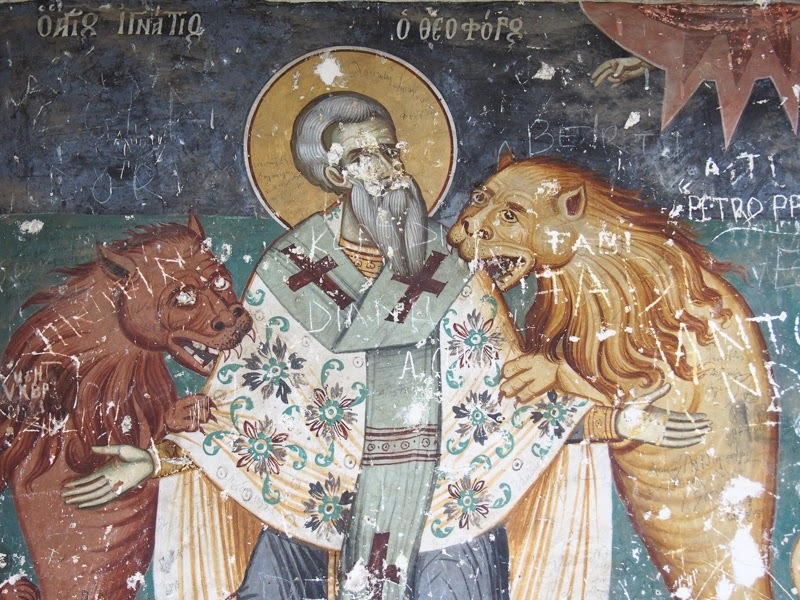 Voskopoja was primarily inhabited by Aromanians (or Vlachs), the linguistic descendants of the Imperial Roman troops and colonists who settled in the Balkans during Antiquity, and who speak a Romance language close to Romanian. At the same time, the Aromanians were Orthodox Christians and the language used for religion, culture and business was Greek. Naturally, there were pockets of Albanians and Slavs as well (whether you call the latter Macedonians or Bulgarian is a political choice that I'll try to steer well clear of.) Linguistic confusion was such that in 1794 the first Balkan dictionary was published here, offering translations in Greek, Aromanian, Albanian, and Slavic/Bulgarian. This was part of an attempt to persuade the locals to abandon their barbaric tongues and learn Greek, the "mother of knowledge". Needless to say, that battle was lost as Voskopoja's inhabitants seem to speak mostly Albanian today. 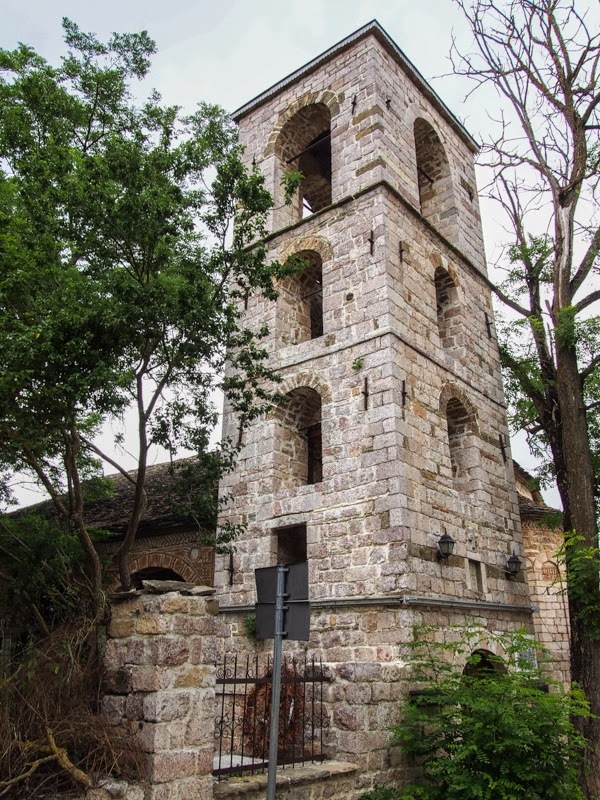 Sporting the Balkan's first printing press, and with thousands of inhabitants, Voskopoja was a real center of learning in the 17th and 18th centuries. This of course required the building of numerous churches and so the inhabitants of Voskopoja went on a church-building spree that seems a little excessive for a village this size. 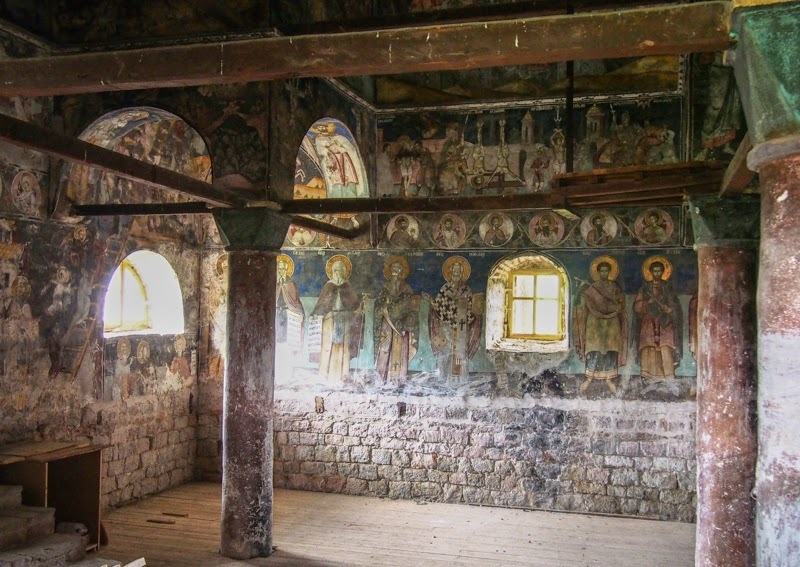 A defining feature of these churches was the exonarthex, a fancy Greek word for a covered porch, which was richly illustrated with frescoes to educate the peasants, warn the sinners, and inspire the pious. Historical Voskopoja was a lot larger than its current incarnation- you will have to stroll well outside the village boundaries, on roads that haven't been maintained since the late 1700's, to reach some of the churches. 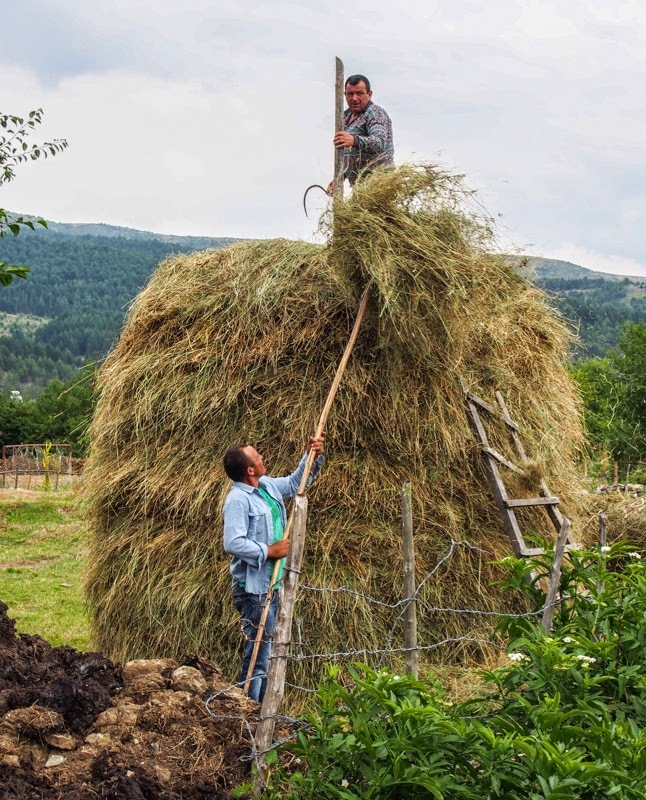 A great way to take in some Albanian countryside! Voskopoja is not a great destination for hay fever sufferers. ...and sports some magnificent interior decoration. 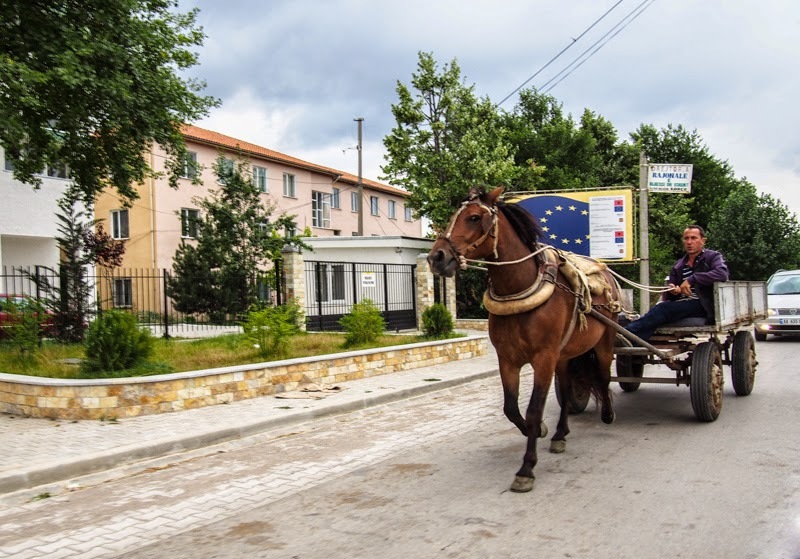 Various transport options are available to Voskopoja. 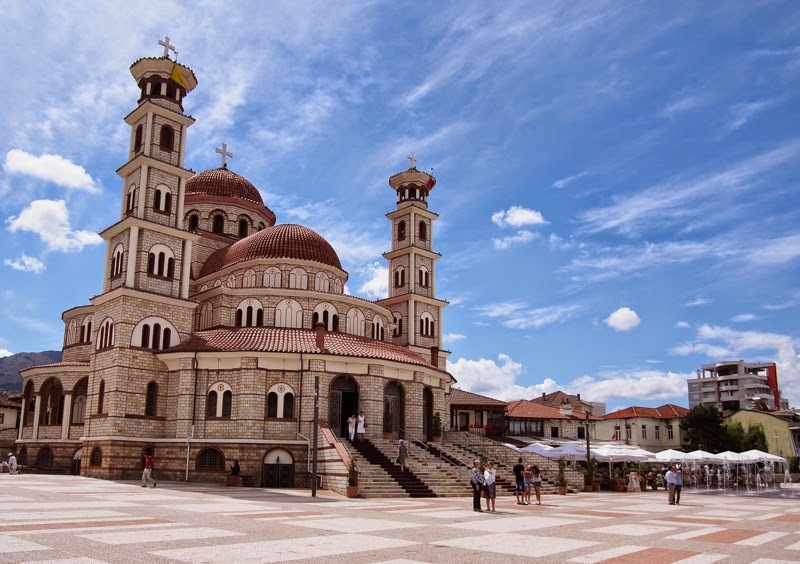 Korça is well-connected by bus and minibus (furgon) to other cities in Albania, including a minibus to Pogradec, from where church fiends can cross into Macedonia to see the churches of Lake Ohrid. Voskpoja has a daily bus from Korça but it may be easier to charter a taxi. A one-way trip costs about 1500 Lek- either ask the driver to wait (and double the price) or spend the night in one of the village's up-and-coming homestays and hotels. I've been last summer, really a great place. Albania is beautiful and Korca was my favorite place to stay, I actually booked more nights because I wanted to stay longer in Korca! Thanks for your comment Giulia, Yes, Albania has lots to offer and very few crowds! It's a great place to visit.